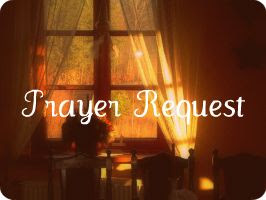 Texas Housewife: Please Pray for My Nanny! Please Pray for My Nanny! Please pray for my dear grandmother. We just got a call that she has had a small stroke. I do not know much at this point other than my family is telling me not to come to the hospital, that everything will be okay. They've promised to keep me posted. She is being admitted and they will be running some test. I am climbing the walls! This is such a helpless feeling! So, please keep my Nanny and my whole family in your prayers. Our heads are bowed for you. So sorry to hear about your grandmother. I will pray for her and for your family.